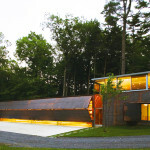 Nestled among Douglas fir trees in Lake George, New York, sits an ultra-modern building with a corrugated copper facade. 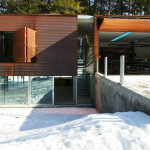 Designed as a guesthouse for a summer family retreat, the Inverted Outbuilding by Gluck+ beautifully combines wood, glass and rusty copper. The unusual use of the industrial material gives this home a totally unique look, emitting a warm maroon glow when the sun hits it. 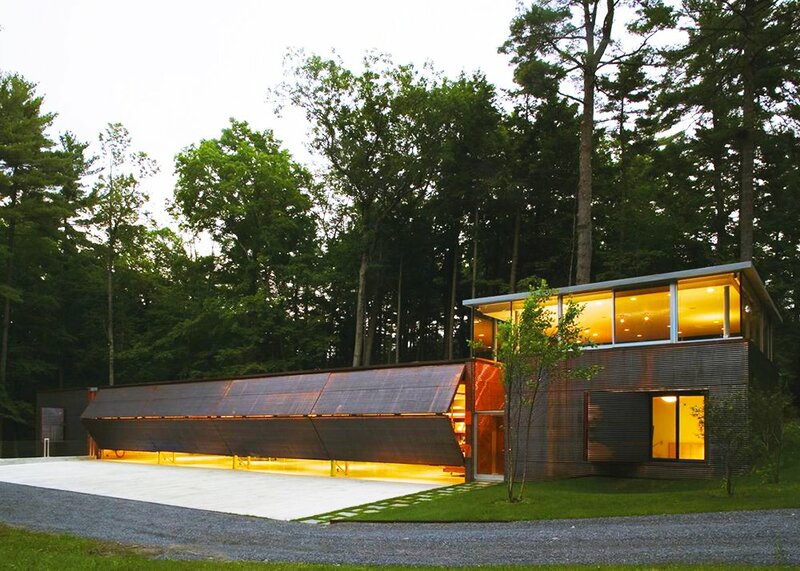 Although Gluck+ was initially contacted to build a barn-like building, in the end they built a striking, ultra-modern retreat. 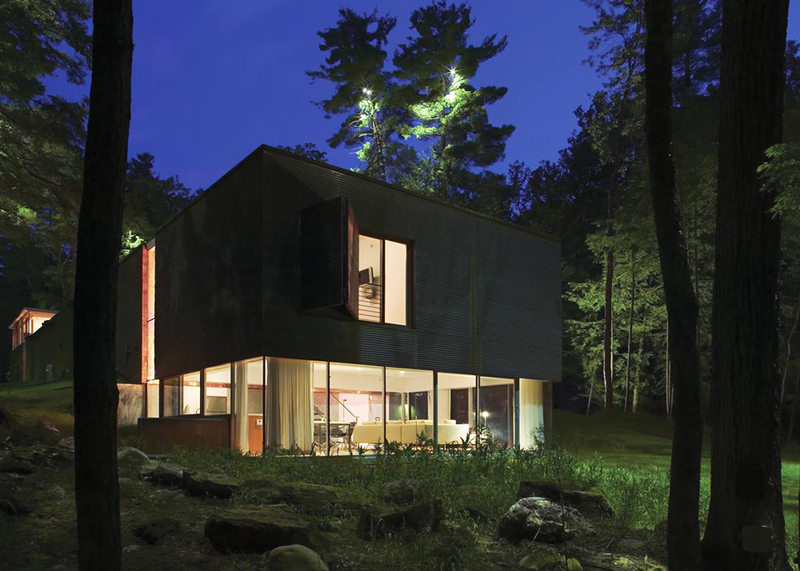 The Inverted Outbuilding beautifully blends utility and modernity and has been welcoming guests since its construction in 2008. The 5,600-square-foot shelter features two levels with two private guest suites topped by flat roofs. 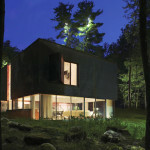 The interiors are brilliantly contemporary with all-around windows that frame the forest outside. 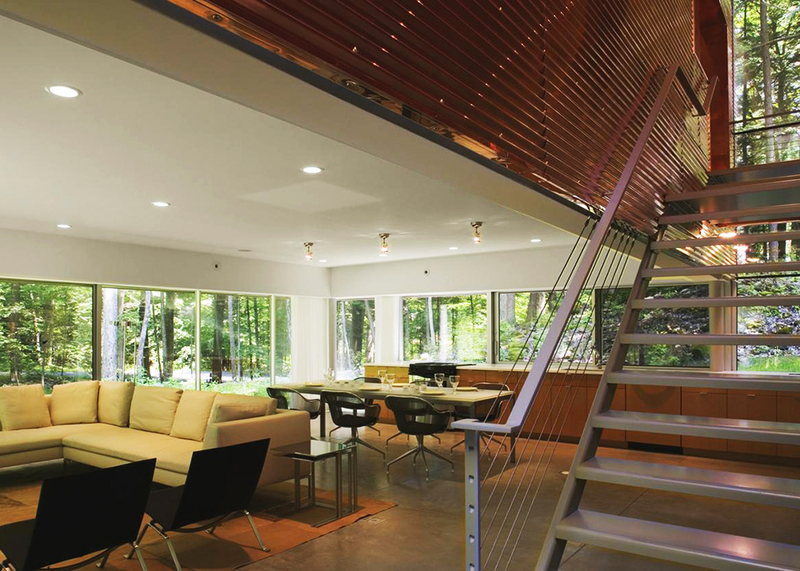 Among the white ceilings, wooden minimalist furniture and treetop views there are corrugated copper details–like the stairs and hall walls–that bring the exterior’s dominant material inside. 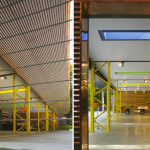 But this beautiful building wasn’t only designed to shelter family and friends. 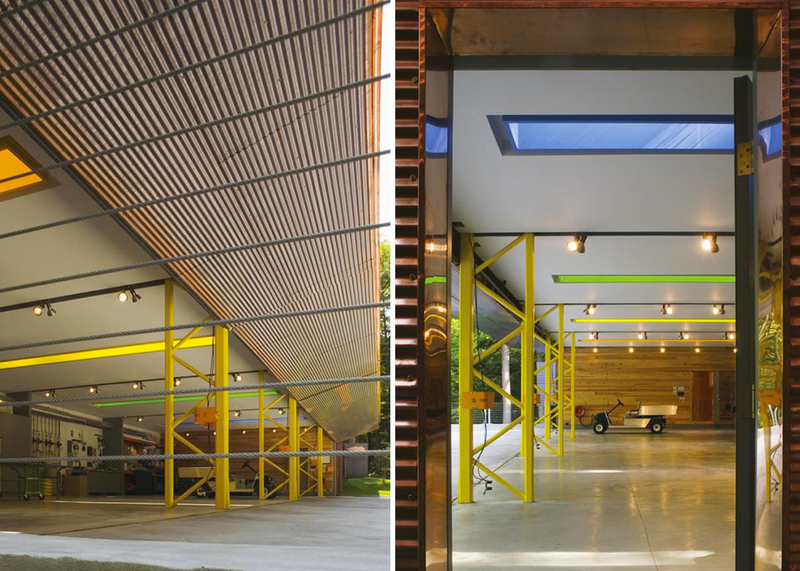 One of the owner’s requirements was a big storage space that could comfortably hold cars, furniture, big machines, and lots of tools. 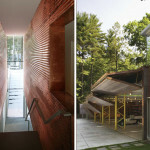 So the architects built an extra-large garage with distinctive airplane hangar doors made from corrugated copper. This original resource matches the owner’s functional requirements as well as adding a rusty, unique look that is also very sleek and modern. 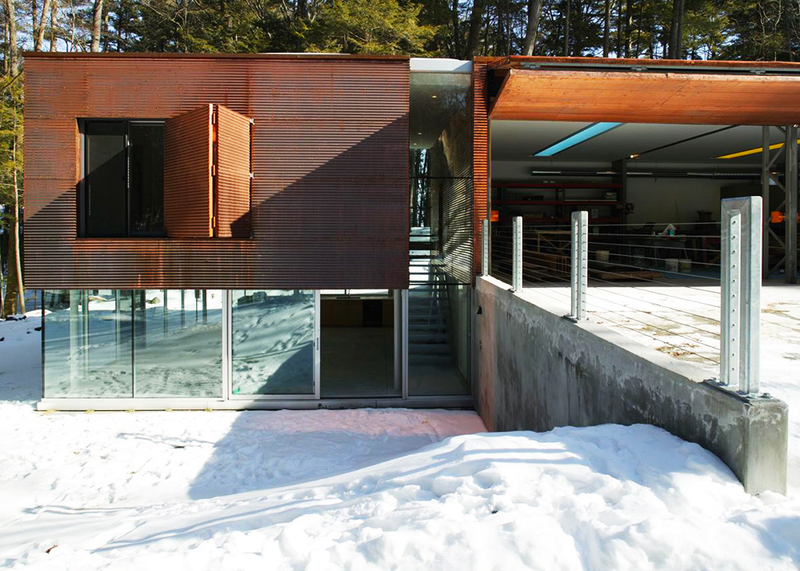 Gluck+’s Inverted Outbuilding was the winner of the New Construction category at the 2008 North American Copper in Architecture Awards.